Finally all caught up with my reviews! Death and debauchery reign in the castle of Prince Prospero (Vincent Price), and when it reigns...it pours! Prospero has only one excuse for his diabolical deeds - the devil made him do it! But when a mysterious, uninvited guest crashes his pad during a masquerade ball, there'll be hell to pay as the party atmosphere turns into a danse macabre! 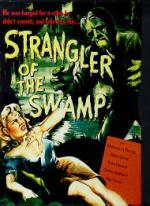 This is another one of Price & Corman's wonderful Poe adaptations. Price is marvelous as the sinister, cultured, cruel Prospero, and Corman's direction is solid. There's a good supporting cast here, and lavish, colorful sets and costumes. Apparently Corman was able to borrow sets from Becket, so this is a handsome production. Nicholas Roeg is here as cinematographer, and he makes wonderful use of light and dark in the film, as well as the jewel-like colors of Prospero's masquerade ... and of the figures of death. One of the best of Price's films. Highly recommended. This is also a beautiful transfer of the film. It's never looked better. Paul and his girlfriend Barbara are celebrating the success of their new company on a yacht off the coast of Spain. When a sudden storm smashes their boat on a reef, Barbara and Paul swim to the nearest town for help. The decrepit fishing village of Imboca at first seems to be deserted, but unblinking eyes peer out from boarded-up houses. The strange inhabitants offer little help to the stranded couple. By nightfall, Barbara is missing and Paul finds himself pursued by the entire town ... but a town of what? 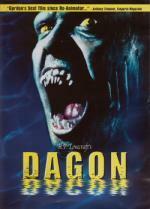 For all its additions to the story, Dagon keeps to The Shadow Over Innsmouth fairly closely. We have the drunk, the shambling locals, the famous escape from the inn, and the truly Lovecraftian ending. If we have the addition of other characters besides our narrator and the drunk, and the additions of romantic subplots, those work for the film. It still keeps to the spirit of Innsmouth and that makes it work in bringing Lovecraft to the screen. Unlike some other films I've been watching this month, this is not a beautiful film. It's nigh the opposite of Masque of the Red Death that I watched this morning. This is an ugly film, dirty, gloomy, perpetually wet. In contrast to Price's cultured characters, the folk of Imboca are degenerate and brutish. There's also considerably more gore, especially in a certain scene toward the end. This is a harder horror film that my usual classics, and I can't recommend it for the squeamish. I can recommend it to fans of Lovecraft, for it's a decent adaptation of Innsmouth, so long as you don't mind the gore. 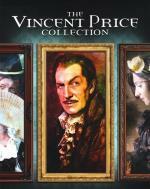 This is one of Vincent Price's films I never seen before. I must say I enjoyed it very much. The story line easily kept my attention through out the film... and I found the visuals to be done very well. The vibrant colors they used seem to add to the story. And I found the entire cast to be great. This is one I would really like to add to my own collection. Life is what you'd expect for young teenagers in this seemingly normal private all-girls school, until a past alumni returns as a teacher. She strikes up a friendship with two very different students and a horrific course of events ensues. A teacher is found dead, apparently having committed suicide, and circumstances that inextricably link both the past and the present are unveiled. As the body count rises, the memories of the deaths unleash the echoes of ghosts down the corridors. This was a really good piece of horror. That some of the most horrific scenes are carried out by the living in no way diminishes the power of the ghost story. The ghost is a powerful supernatural being. And she does bring a brutal retribution down. But the true horror is a school culture that not only condones bullying but has teachers actively participating in it, pitting student against student, berating and belittling them for low scores in front of all their peers. The film creates a great oppressive atmosphere in the school, and the actors all do a good job. Some things are a bit confusing, but with a bit of patient thought can be worked out. Recommended for fans of Asian horror. After an airplane is forced to crash-land in a remote area, its passengers find themselves face-to-face with an alien force that wants to possess them body and soul—and perhaps take over the entire human race. Filled with creatively repulsive effects—including a very invasive bloblike life-form—Hajime Sato's Goke, Body Snatcher from Hell is a pulpy, apocalyptic gross-out. This a bleak, heavily political, sci-fi horror. It's also a study of what happens to people in crisis situations, and how a crisis makes people show their true nature. Some stay strong in their morals, others crumble, and others will try everything to save themselves, including at the expense of someone else. Also, some scream. Hello, most annoying trope of horror movies - the useless, screaming female! The effects and some of the plot points are rather trippy; this is firmly in B-movie territory. Still, it rises above the average B-movie of its time with its commentaries on Vietnam, Hiroshima, and political corruption. There's a lot more going on here than most B-movies. That also makes it very much a product of its time. It hasn't exactly aged well. Worth seeing for the B-movie enthusiast however. This was a pretty good werewolf movie. It lacks any backstory on the werewolf, and I liked that about the film. It makes the werewolf this immensely threatening supernatural monster, an inhuman creature rather than a tortured soul. He's mad, bad and dangerous and must be put down. King doing the screenplay means this is more than just a monster story. It's a story of the town and folks in it. 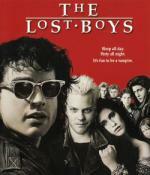 Corey Haim is really good in his role, especially in holding true to the physical limitations of it. The girl who played his sister is pretty good too, and their interactions have a certain authenticity to siblings of that age. I love Gary Busey as their drunk, loser uncle who seems really cool when you don't know any better. And of course, I love the wheelchair. Everyone loves the wheelchair. I think the narration wasn't needed. That's a device I thought worked better for Stand By Me than it does here. Small quibbles aside, this was still quite good and I'd recommend it if you're looking for a werewolf film. Back to school's never been so cool or supernatural for Marnie (Kimberly J. Brown), her grandmother Aggie (Debbie Reynolds), and her family of witches in this latest chapter in the ever-popular series of Halloweentown movies. When Marnie convinces the Halloweentown Council to send several teenagers to her high school in the mortal world, she even promises to give up her magic if any harm comes to them. But soon, Marnie and her new friends are in trouble and out of luck when the evil Knight Of The Iron Dagger appears. He's determined to destroy all things magical, and it's up to Marnie to save her high school, the human world and her magic. Probably my least favorite in the franchise.While it is still entertaining I found the story line to be less interesting what with it mostly taking place in the mortal world. These films are just more entertaining when they are in Halloweentown. That being said... this one is still worth the time put in to watch.... if you enjoyed the previous films in the franchise. Unlock the secrets in the fourth installment of the hit Disney Channel Halloweentown series and discover a "Behind-The-Scenes Spooktacular" with an insider's look at the special effects and creature creations on the Ultime Secret Edition DVD. Everyone knows Marnie Piper (Sara Paxton, Aquamarine) is a witch, so it comes as no surprise when she wins a full scholarship to prestigious Witch University in Halloweentown. Marnie travels through the portal to become Witch U's most famous coed. But everything is not what it seems. There's a new school rule: No magic allowed! With the help of old friends Ethan (Lucas Grabeel, High School Musical and High School Musical 2) and Benny the Skeleton, and new friends Professor Periwinkle and Aneesa the Genie, Marnie learns she holds the key to revealing the ultimate secret. The exciting Halloweentown series continues with more magic, mystery and suspense in Return To Halloweentown! This one I enjoyed more then the last. Not surprised as this one takes place for the most part in Halloweentown. And it has a story that is interesting enough to keep your attention. A fun Halloween film for the entire family that is worth the time put in to watch it. A mysterious, yet charming woman arrives in a small town and causes a stir when people think she is an actual witch. The town's moral committee, lead by the mayor's wife, becomes convinced she is evil and begins a campaign to drive her out of town. This causes much stress to the town sheriff, a struggling widower, who is slowly developing feelings for the woman. As their relationship grows, the woman helps the sheriff's children, as well as several members of the community, face their problems and overcome personal obstacles. But is it common sense or magic that's helping the townfolk? And will they ever be able to accept her as one of their own? I have made it a tradition to watch at least some of these films around Halloween for years now. And after Watching it multiple times... I found I enjoy it now just as much as I did the first time I seen it. I really like the character of Cassandra Nightingale (The Good Witch) and the lovely Catherine Bell did a wonderful job in the role. I couldn't imagine anyone doing it better. I been a fan of Catherine Bell every since her JAG days. If there is anything I didn't care for though... it would be that the ending felt like it was settled a little quickly and easily. But that didn't really take away from the movie for me. Cassie has settled into Middleton and is busy making a home of Grey House. Her boyfriend, Sheriff Jake Russell, and his kids are happy to have Cassie in the neighborhood, but she has yet to gain the trust of some people in town. This is a nice continuation in the franchise. Has a good story line and the entire min cast comes back. Definitely a fun watch... I highly recommend this one.... especially if you enjoyed the first one. Cassandra Nightingale always has a few tricks up her sleeve, but is surprised when her handsome sweetheart, Police Chief Jake Russell, proposes. Another good and touching installment. Sure this one takes place during the Christmas season... but it is still as magical as the first two... still about the good witch. So I am allowing myself to include it for my Halloween marathon. Watching these three films tonight is making me fall in love with these characters all over again. If you are a fan of the franchise you already know this is an installment you just can't miss. A must see! A ferryman who was wrongly hanged for murder is now a ghost, and he's more than a little perturbed. He wants revenge, and he's inflicting strange, violent deaths on the townsfolk responsible for this execution. The ghost (Charles Middleton, best-known for playing Ming the Merciless in the Flash Gordon series) is all the scarier for his simplicity: a grim shape that gradually manifests itself, blending into the shadows and the night. Blake Edwards, in a rare acting appearance before he became a famous director, is Christian Sanders, Jr., next on the ghost's list of victims, and Rosemary La Planche is his lover who's willing to sacrifice herself to save his life. Robert Barrat is the community leader who fights the villagers' superstitions. Steeped in gothic atmosphere, STRANGLER OF THE SWAMP recreated director Frank Wisbar's extremely stylish classic fantasy film, Fährmann Maria, made in Germany before Wisbar came to Hollywood and directed such movies as the Devil Bat's Daughter. Wisbar's inventive use of lighting, camera and sets makes STRANGLER a stand-out. This has great atmosphere for a 40's B-movie. There aren't many sets, and you can tell they didn't have much budget, but add a fog machine and the sort of swampy scenery you might put up for a community theatre production, and it somehow creates a wonderfully creepy feel to this film. While some of the dialog isn't great, and the acting is servicable at best, I really liked the character of Maria and the way they visualized the ghost. The ghost is dark and murky, never fully seen, which really works for the story and makes the ghost seem more threatening. Maria, meanwhile, is a remarkably strong character for the time period. The lurid cover has little to do with the actual film. She is the actual hero of the film, the one who confronts the ghost and defeats him. The cover should really replace her with Blake Edwards character being threatened instead. Well worth watching for those who enjoy low-budget films of this era.